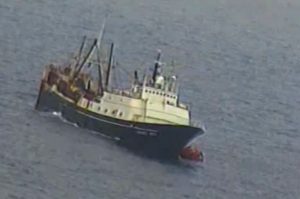 More than 36 people are expected to be called to testify, including crew members, Coast Guard inspectors and maintenance personnel employed by The Fishing Company of Alaska, based in Renton, Washington. Investigators will try to determine what caused the sinking and use this information to improve safety for workers on boats that catch and process fish. Stacey and Jacobsen first reported on this vessel sinking on July 27th, 2016. Additional news and information can be found at ALASKA JURIS news.